If you live anywhere near Medford, New Jersey, it would be great if you could come to this reading at the Medford Arts Center, Wednesday, March 2, 7:30 PM. Note that there will be refreshments! That means free food! Don't forget to enter the Free Book Giveway at Jama Rattigan's blog, Alphabet Soup. 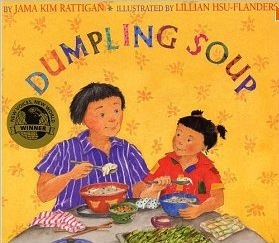 Jama is giving away a signed copy of her children's book, Dumpling Soup, a copy of my poetry book, Temptation by Water, and a t-shirt. All you have to do is go to the feature of my poem, No soup for you!, and in the Comments section leave the name of your favorite soup. How easy is that! Giveaway ends on Monday, February 28. Jama's cover. Illustrations by Lillian Hsu-Flanders are also wonderful! I read Jama's book this weekend. It's wonderful. It's a great story, with much to be learned about the importance of culture and traditions and family values. Wonderful illustrations, too. As a poet, I really appreciated the metaphors in the story. I've just discovered an exciting poetry-video project produced by Rattapallax Productions and directed by Ram Devineni. Susan Brennan is the screenwriter. The cast of actors includes Jon Sands in the starring role, Lamont Steptoe, Bob Holman, Eileen Myles, and others. According to Brennan, "Verse: A Murder Mystery is about a young bike messenger poet who discovers a lost manuscript and is drawn into the New York City literary world with the only key to an unsolved, 30-year-old murder. Set against backdrops of New York and Berlin, we feature several international poetry legends alongside our amazing cast of actors." You should be able to click to each episode right from this screen. 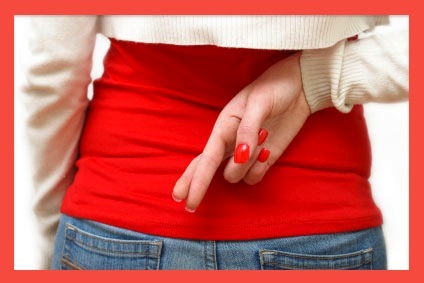 In my last post, I included five alleged facts, only one of which was really true. Your job was to decide which one was true. The answer will now be revealed. 1. I lived in five Southern states before I was two. This is the one true fact. My father was in the military and apparently we moved on a regular basis. I don't recall any of it except for one incident when I stepped on a bottle my brother had smashed on the sidewalk. Everything else is hearsay. 2. Of my three children, two are adopted. No, I hatched them all. 3. I have had four surgeries which required prolonged hospitalization. Aside from the 3 hatchings, I've never spent time in a hospital. No operations, no broken bones, no stitches. Well, one nasty little bit of biopsy, but I was in and out. And then was lucky. 4. I think that chocolate-covered caramels are disgusting. How could this possibly be true? Who doesn't absolutely adore chocolate-covered caramels? Don't tell me if you are one of those weird people. 5. Until I was 16, I lived on a farm and was in charge of the chickens and goats. No, never happened though there was a time when I wanted to live on a farm, when that seemed like a lot of fun. I had a friend who lived on a farm and had a feather mattress and comforter and whose mother made real pickles. I wanted those things, too. Never got them. Stuck in the suburbs. 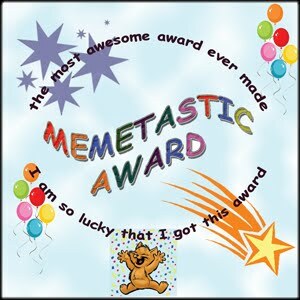 How nice to discover that my blog has been nominated by Kristin Berkey-Abbott for the Memetastic Award, created by Jillsmo at the Yeah, Good Times blog, a Mommy blog. Apparently, Jillsmo prefers to conceal her identity so I can't give you her name. Erika Dreifus I couldn't begin to list all the wonderful material offered at this blog—contests, paying markets, new books, conferences, etc., etc. Marion Schembari Here's the one that probably won't seem like it's a good fit here, but this tech site offers terrific information about blogging, Facebook, Twitter, and other things technological. Marion is also very funny. I always learn something and have a good laugh. I lived in five Southern states before I was two. Of my three children, two are adopted. I have had four surgeries which required prolonged hospitalization. I think that chocolate-covered caramels are disgusting. Until I was 16, I lived on a farm and was in charge of the chickens and goats. Look who's reading my new book! 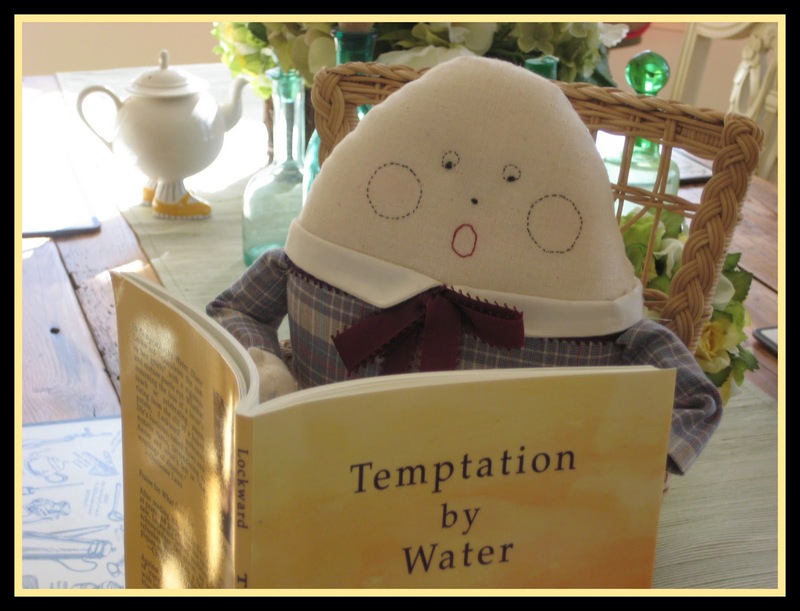 On Friday, February 4, food blogger and children's author Jama Rattigan featured one of the poems from my new book, Temptation by Water, at her wonderful blog, Alphabet Soup. The poem she chose is If Only Humpty Dumpty Had Been a Cookie. Along with the poem, Jama included the most amazing photos, such as the one above which is now one of my very favorite photos in the world. The photos of cookies will make your mouth water. Bring a bib! There's also a very cool prompt using cookie tiles, each with a word on it. Give it a try. There's even information about a poetry contest for a forthcoming book entitled Whitman Cooks. I'm delighted with this feature and hope that you will pay the site and my poem a visit. As if that weren't enough delight, Jama has posted another of my poems in this week's "Friday Feast," a poetry feature that appears each week. This time it's No soup for you!, a poem that found its inspiration in the Soup Nazi, a character from the Seinfeld show. Jama has really outdone herself. The photos of soup will leave you drooling with desire. Then comes the poem, followed by my commentary on it. The commentary developed from some questions Jama sent me. There's also a recipe for mushroom soup. And finally, there's a Book Giveaway. Go to Jama's post and leave a comment with the name of your favorite soup. 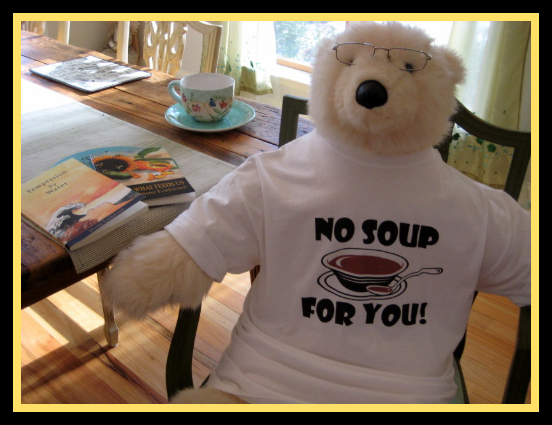 That's all you have to do to enter to win a copy of my book, Temptation by Water, a signed copy of Jama's book, Dumpling Soup, and the t-shirt you see being modeled by the bear above. You can get extra chances by blogging, tweeting, or facebooking about the Giveaway. Let me know if you win. I've been back in the movie-making business. Several months ago, precisely on October 8, 2010, Nic Sebastian recorded a poem of mine for Whale Sound. 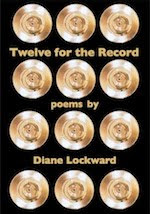 This is an audio journal or library of Nic recording poems by a wide variety of poets. 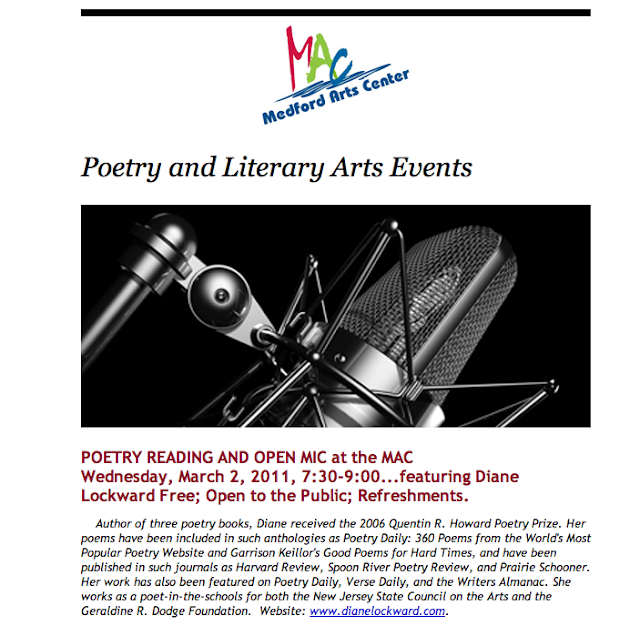 The common denominator is that they are all what Nic has named "web active poets," meaning that they have a substantial presence on the internet via blogs, websites, and social networks. That limitation is intended to increase the audience for Whale Sound. Due to the success of the venture, Nic has now added an audio chapbook component and a blog, Voice Alpha. Voice Alpha is a companion to Whale Sound. There Nic and others discuss the art of reading poetry aloud. 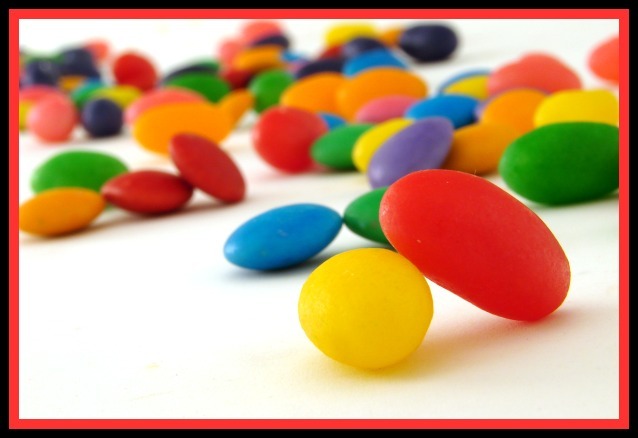 Guest bloggers are invited to contribute. Those wishing a critique of their reading skills may contribute a recording. It's all very positive. Nobody gets annihilated. It's also very instructive. 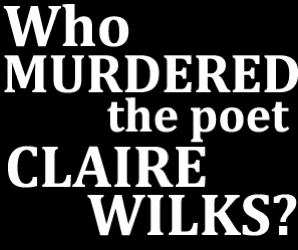 Whale Sound includes an index of all poets recorded, bios, links to the poems, and, of course, the recordings. My poem is Gender Issue, which first appeared in Margie and then in my second book, What Feeds Us, and then online in Poemeleon. I loved Nic's reading and began mulling over how I might get more mileage out of it. I decided I'd use it as the soundtrack in a movie. Nic kindly sent me the mp3 and I went about gathering appropriate images. Here's the result. A new print journal is about to enter the literary world. It's called Adanna, a name of Nigerian origin, pronounced a-DAN-a, and defined as “her father’s daughter.” As the name indicates, this journal is dedicated to women. Work appearing in the journal will in some way reflect women's issues and celebrate womanhood. However, it is not exclusive; men are welcome to contribute their thoughts about women today. As the bright red cover suggests, we hope for a lively, passionate journal. 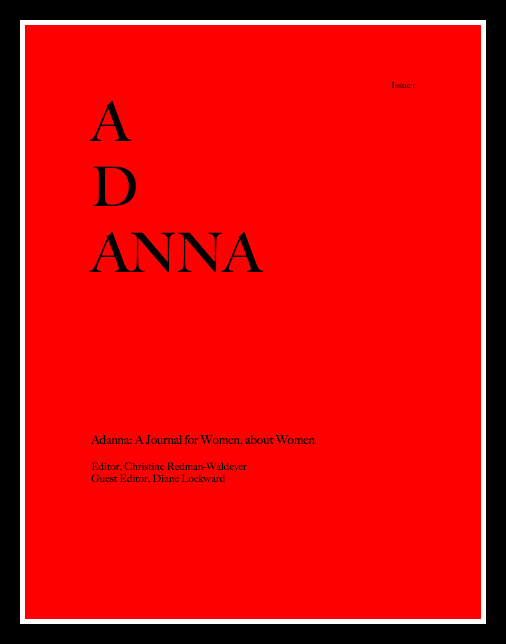 Adanna: A Journal for Women, about Women will be an annual perfect bound print book publication, first issue Summer 2011. I am delighted and honored to be serving as Guest Editor for this new journal. Check out the guidelines here and consider submitting some of your work. Adanna accepts poetry, short stories, essays, and reviews of books and visual arts. We welcome both National and International submissions in English. Please submit only unpublished pieces, 3-6 at a time. Submissions should be one file in one attachment. Include your name in the header of each page along with current contact information including e-mail and phone number. Please notify us as soon as possible of any accepted work. 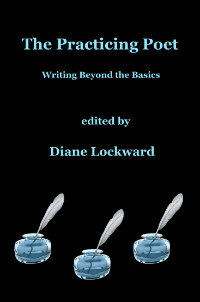 For works accepted, the author will receive a free complimentary copy. Two interviews have recently been posted in which I blab on endlessly. Well, not really. The first appears in The Patch, a fairly new online newspaper that is spreading across the country. Go to the base site and see if your state has one. Click on the State and then see if your town has one. They're great for up-to-the-minute local news—like is school open today. Also great for restaurant listings and local events. My Patch has an arts feature and that's where I come in. Feature columnist Joanne Van Zuidam interviewed me recently for her column on local artists. She asked me about my background, my sources of inspiration, how I go about putting a book together, my current resolutions and future plans, how I stay motivated, and what a typical day of working at poetry consists of. Read all about it HERE. The second interview appears in The Habitual Poet series at Poemeleon, a very nice online poetry journal hosted by Catie Porter. With each issue, Porter posts an interview template. Then she invites anyone who has work in the current issue to respond to the questions. I did that back in September. The interview was just posted. In this slightly zany interview, I discuss my book buying and reading practices (you will learn whether or not I read in bed), how I practice my craft, how I go about revising and publishing, how swamped I am with fan mail, which vowel I'd most want to be, and my piece of advice. Read all about it HERE.